-View on-board and review off-board. 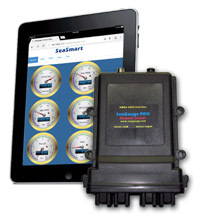 Chetco Digital Instruments offers a state of the art analog to digital instrumentation hub, enabling a touch screen gauge interface, remote switching, engine data logging, and SeaSmart.NET NMEA 2000 compatible wireless networking for marine, automotive, and industrial applications. Our unique technology converts existing analog engine data into high resolution graphics which can be controlled from any laptop, smartphone, tablet, or all weather touch screen display. © 2019 Chetco Digital Instruments, Inc. All rights reserved.